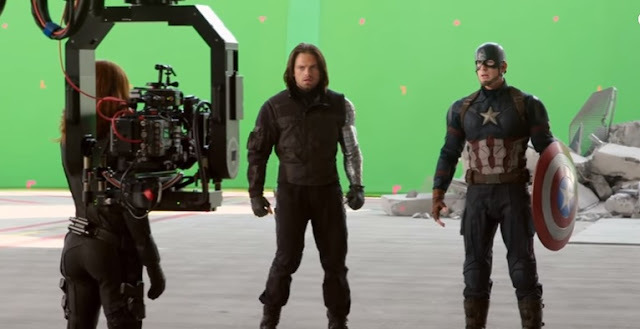 Marvel has already released the behind-the-scene of the Captain America: Civil War. The best part of the movie happened at the German airport where Team Iron Man and Team Captain America clashes. It was the most entertaining sequences in Holywood history. How much of it was CGI? “Spider-Man, Giant-Man, and Black Panther are always one-hundred percent CGI,” Earl explained. “Iron Man, War Machine, and then we’ve got Vision. Spider-Man, Black Panther, and a 50-foot tall Ant-Man all get in on the action, and while it all seems to be seamlessly integrated with footage shot on a physical location, what audiences actually see was created almost entirely at Industrial Light & Magic. "The airport is a hundred percent digital," ILM visual effects supervisor Russell Earl tells me over the phone. "Spider-Man, Giant-Man, and Black Panther are always one-hundred percent CG. Iron Man, War Machine, and then we’ve got Vision." The exceptions were characters like Black Widow, Captain America, or Winter Soldier — basically, the few people not wearing a mask of some sort. But while directors Joe and Anthony Russo did shoot at an airport in Germany, only a handful of principal cast members were there — with the majority of the live-action footage shot against a giant green screen in Atlanta, Georgia and assembled by the visual effects team later.